August 2014 - Pebbles, Inc.
Hello! 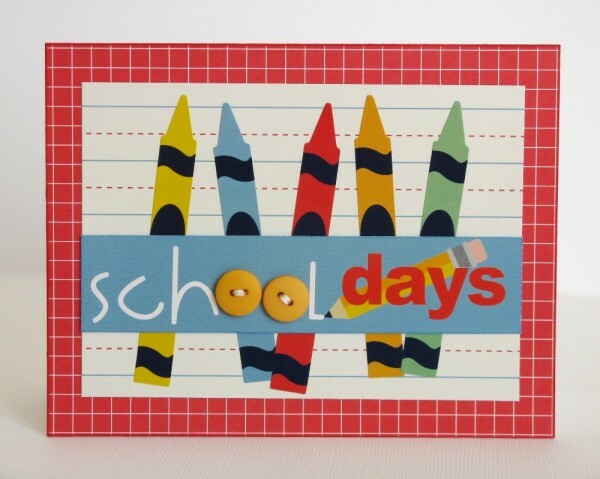 Amanda from Popper & Mimi here today and I’m so excited that school has officially started! 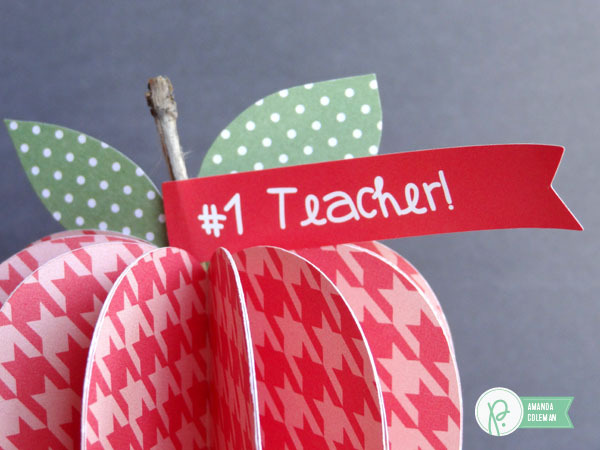 Today I am sharing a fun way for your kids to greet their new teachers this year. My kids are always a little nervous to meet their new teachers so I created a fun and inexpensive project to help them break the ice. 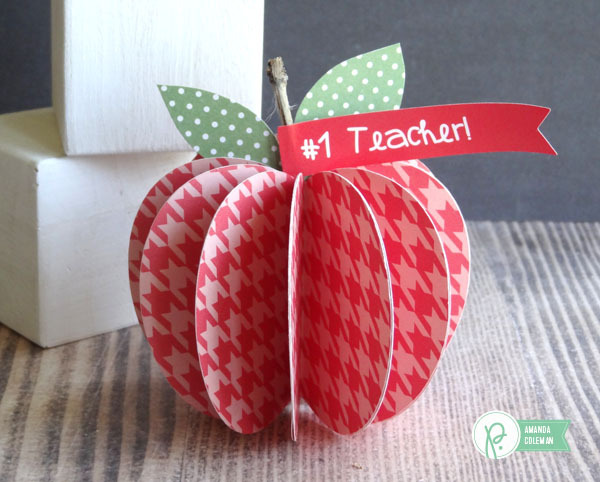 Paper apples are easy to make and only require a piece of patterned paper or cardstock. 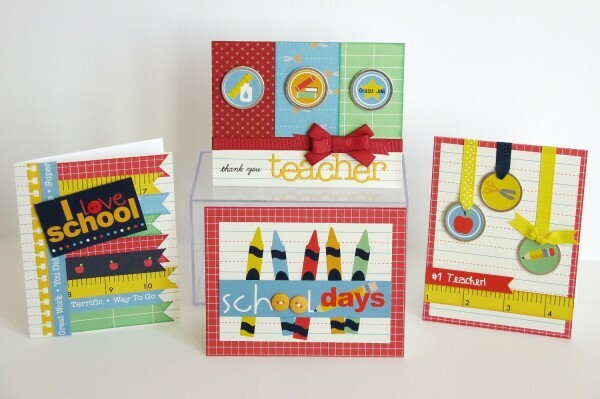 I used patterned paper from Pebbles’ Home+Made, Back to School, and Birthday Wishes collections. 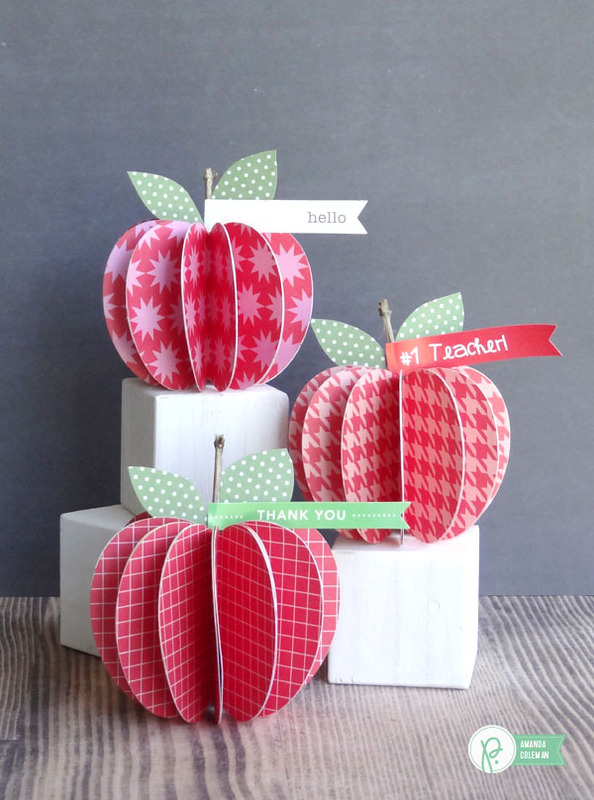 Using a variety of patterned paper adds a bit of extra charm to each individual apple. Each apple is topped with a real twig and is about 3″ tall, making it even more life-like. To begin making each apple, cut 12 apples from a single piece of 12″x12″ paper. 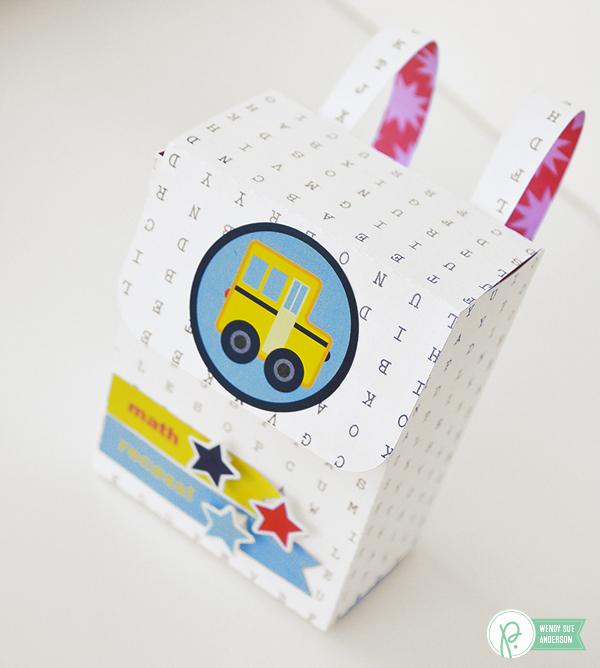 Choose a die, cut file, or pattern that is symmetrical. I used my die cutting machine to cut and score the apples at the same time. Head on over to my blog for a brief tutorial on how to add a score line to a cut file. 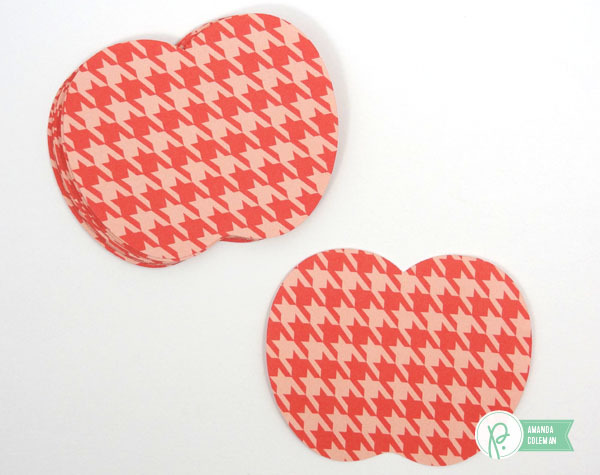 Fold each apple in half and apply dry adhesive to one side of each apple slice. Adhere the apple slices together until you have formed a little stack of apple slices. Apply additional adhesive to the top piece, open up the apple, and adhere the slices together forming a complete apple. Once adhered together, your apple should have a little hole in the middle. 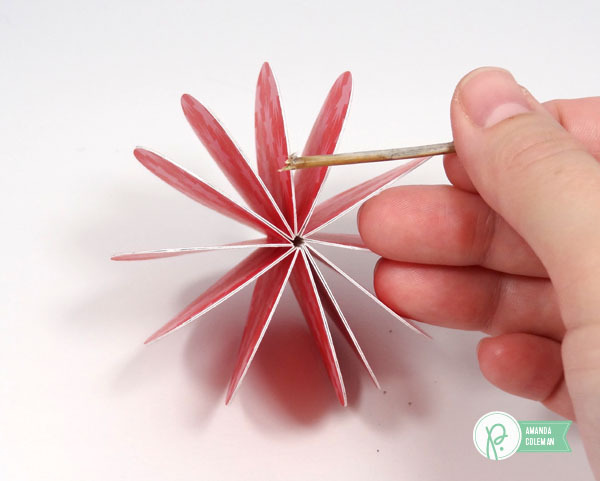 Place a little twig in the middle to create a little apple stem. 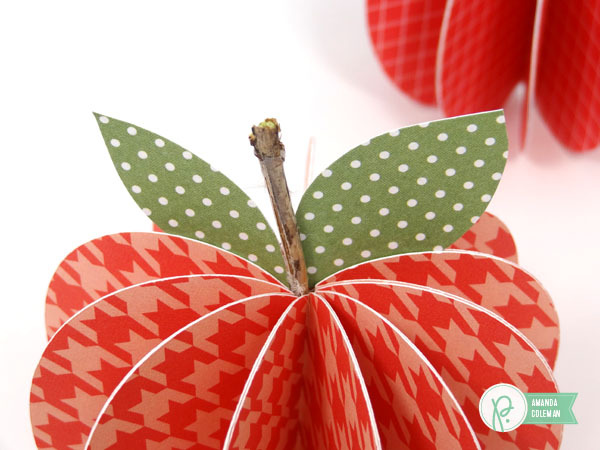 Cut leaves from patterned paper and place them between the apple layers. Embellish the top of the apple with a sticker or other fun embellishment. 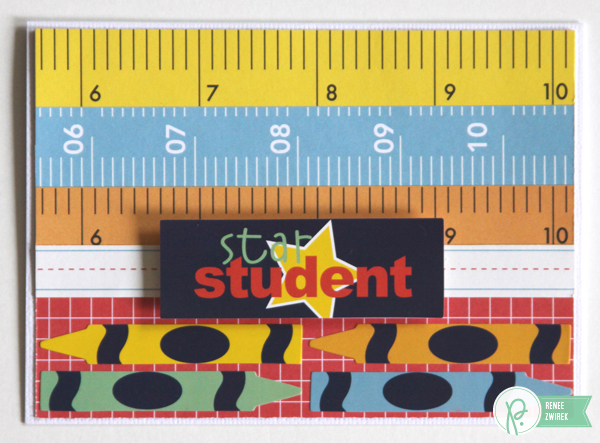 Now your new teacher has a fun decoration to place on his or her desk for the entire school year. Hi Pebbles friends! 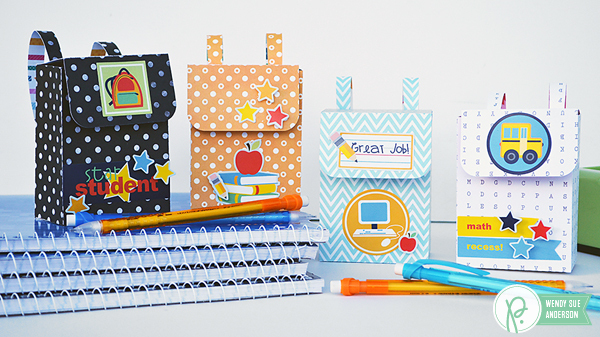 It’s Wendy Sue Anderson here with you today, sharing some fun little back to school “backpacks” made with the cute Back to School collection. 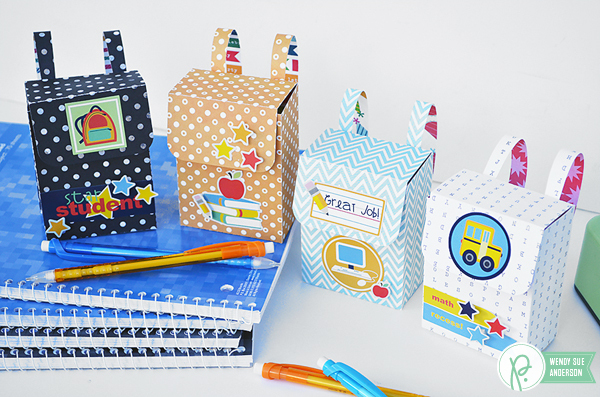 Okay, they aren’t really backpacks – but they are cute little gift boxes that look like backpacks! 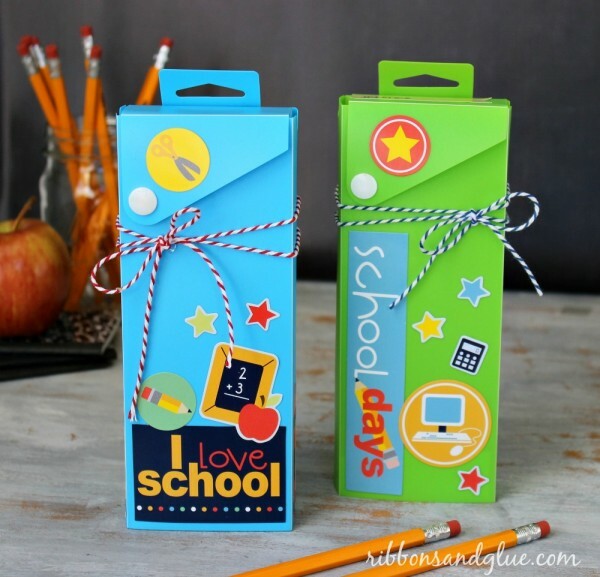 I think they are the perfect little box for a back-to-school bash, or even a simple first-day-of-school gift. 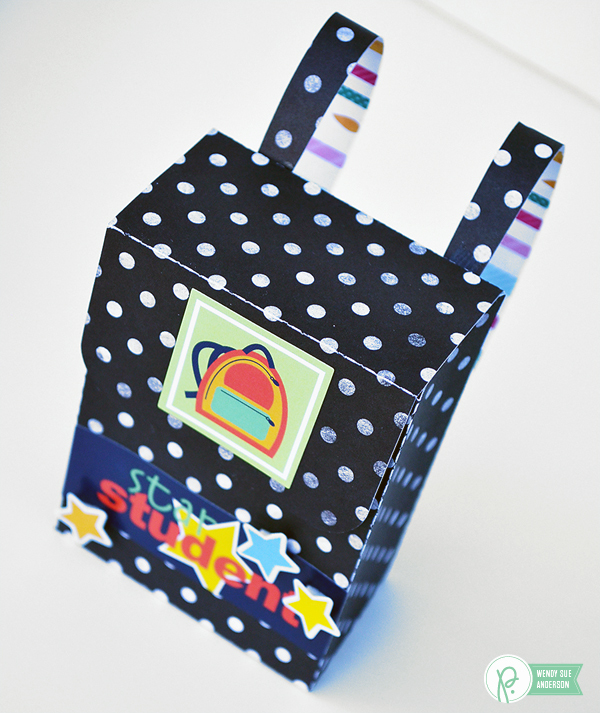 I used my Silhouette Cameo and a Cut File available in the Silhouette Store to create the little backpack boxes. 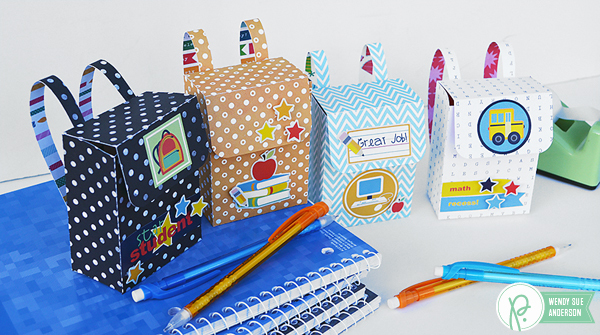 The backpacks are all made with papers from the “Birthday Wishes” collection, which coordinate so nicely with the stickers from the “Back To School” collection! 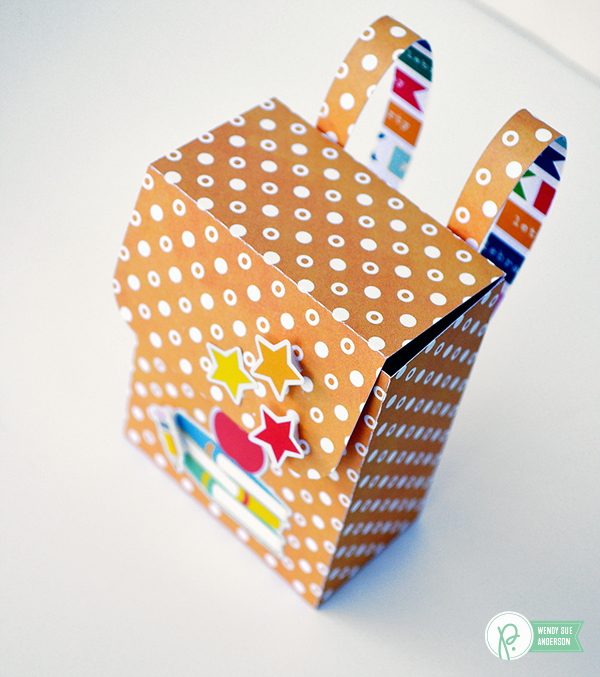 I just love how the little straps hook on the back of the boxes, allowing the opposite side of the patterned paper to be seen too! 1. Sometimes I like to make the boxes or 3-d projects larger than the original file. When you do this, be sure to hold down the shift key while dragging the corner box – this will ensure the proportions remain the same. Otherwise your box might not fold up correctly! 2. 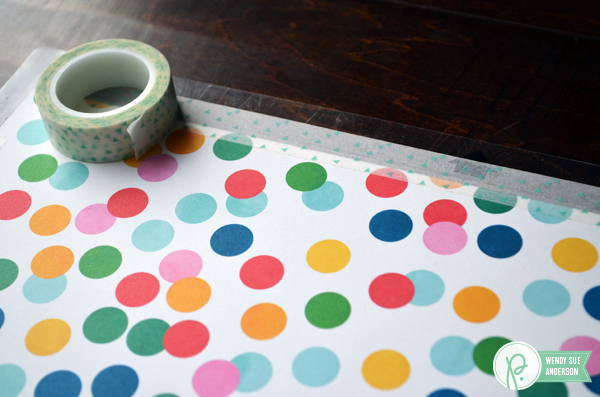 If your cutting mat isn’t as sticky as you’d like, use washi tape on all four sides to secure your paper. 3. I always (always, always, always) use Super Sticky Red Tape on my 3-d projects. Once the tape is on there, the box (or bag, or whatever) will NOT pop open! 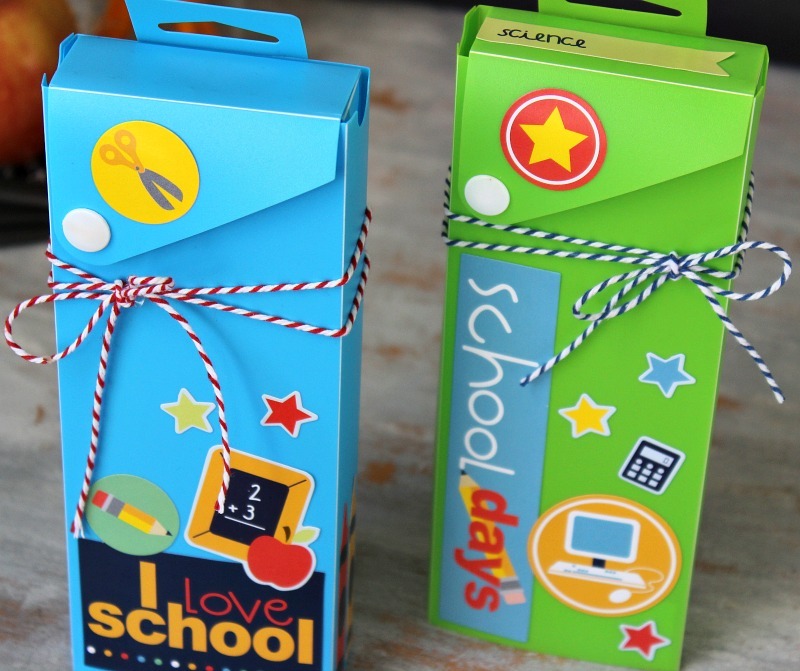 These boxes are just the right size to tuck in some “first day” goodies – crayons, erasers, or mini markers. Consider adding a small bottle of hand sanitizer, or a pack of tissues! Perhaps you’d prefer to tuck in a stack of post-it notes and a little pencil. Maybe even a little pack of gum or mints and some cash for lunch money! 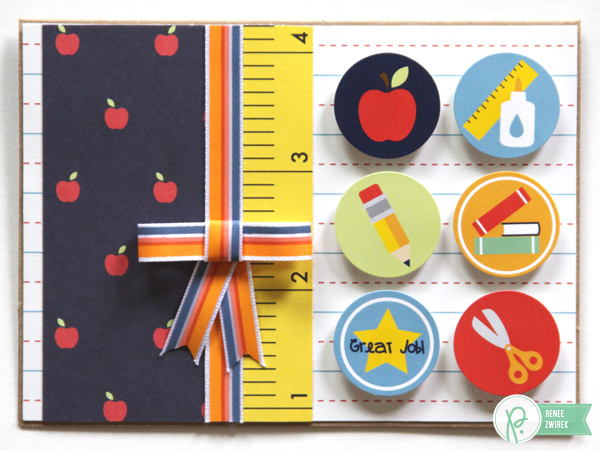 Whatever you decide to pack in your backpacks, they are sure to make the first day of school extra special! Hi, Everyone! Renee Zwirek back today to share another project with you using the Back to School line. I made a couple of cards for my girls on their First Day of School. I thought it would be a fun surprise for them to open up their lunch bags and find these cards. I know that they will be feeling sad about the summer ending. I know they’ll be nervous but excited on their first day and I want to express my feelings to them too. I’ll sneak in their favorite candy along with these cards filled with personal messages to each of them from me (and Daddy) letting them know how much we love them, how proud we are of them, and that we know they’ll have another great school year. Gosh, doesn’t the school year seem to just fly by?! 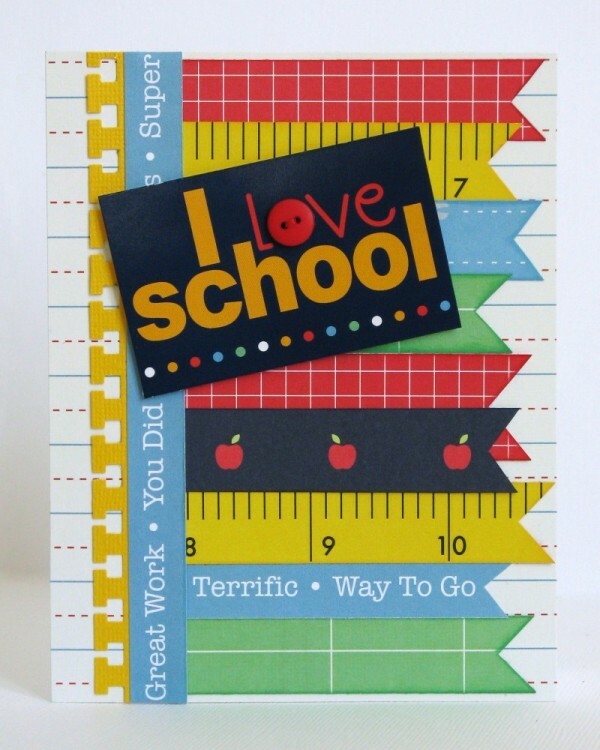 Hope your kiddos have a wonderful school year…no matter what grade they are in. Hello! It’s Mendi here today, and I’m super excited to be sharing some simple school-themed cards using Pebbles Back To School Collection! 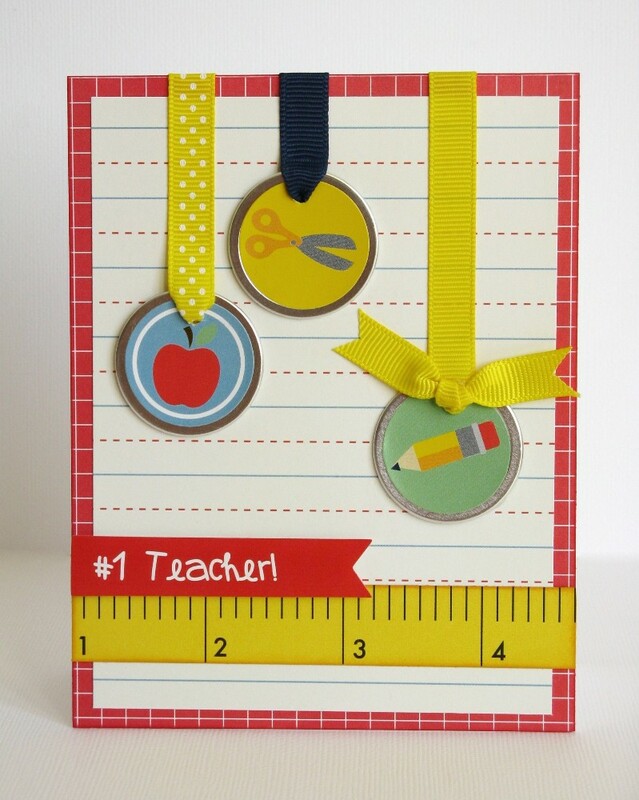 These are perfect for a special teacher in your child’s life or even to make multiples of to give as a boxed set for a new teacher. First up I have a card featuring some simple hand-cut pennants along with one of the stickers from the collection which I popped up with foam tape and added a little red button to the letter “o” for a fun detail. 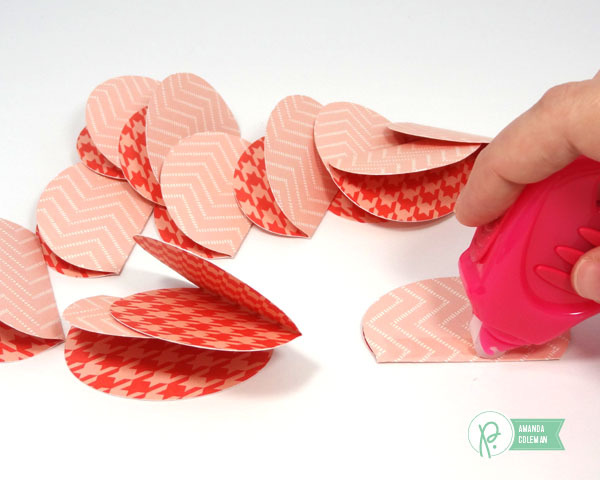 Up next is a quick and easy card using the darling crayon stickers. I wanted as much of the crayons to show as possible so I cut each of them in half and lengthened them by approximately 3/4″ before adhering them to my card panel. I was then able to hide my alteration with the cute phrase sticker. 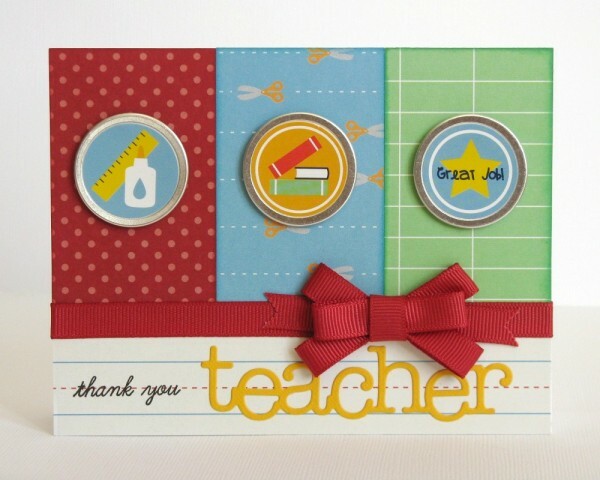 For my next card I used several of the circle accent stickers to create some fun little hanging tags dressed up with some basic metal rimmed office tags and tied with American Crafts Ribbon. My last card features more of the circle accent stickers and a fun bow made with some American Crafts Ribbon. 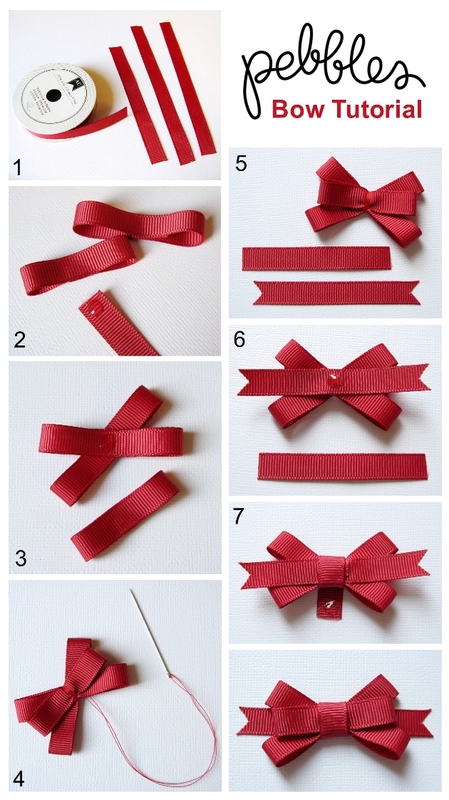 I created a little picture tutorial on how to assemble this cute bow, along with 7 easy steps. Step 1: Cut (2) 5″ ribbons and (1) 4″ ribbon. 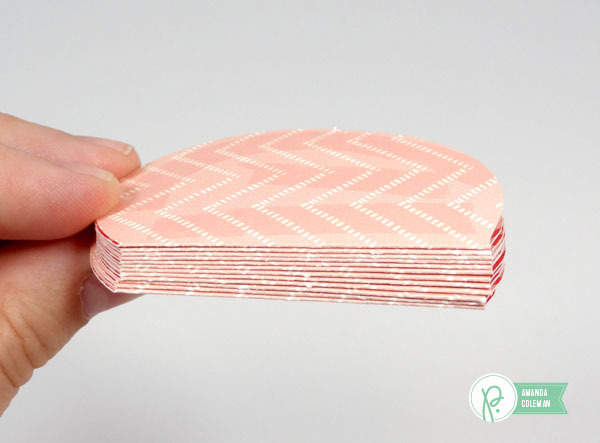 Step 2: Apply Liquid Adhesive to each end of ribbon and fold inward, adhering in the center. Step 3: Adhere two longest ribbon loops together with liquid adhesive and add smallest loop to center. Step 4: With a needle, wrap thread around the center several times and tie with knot (can also be done without the needle). 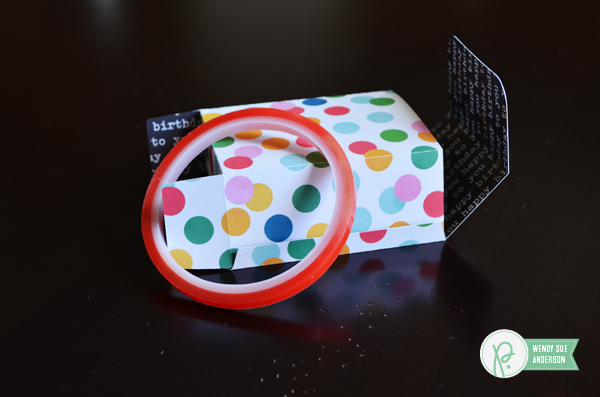 Step 5: Cut (1) 2.5″ ribbon and (1) 2.75″ ribbon with notches from each end as pictured. Step 6: Adhere notched ribbon to back of bow with liquid adhesive. Add a drop of glue for center bow piece. Step 7: Wrap 2.5″ ribbon around the center of bow, securing on back side with more liquid adhesive. I hope you will give it a try! I think it would be darling done up in so many of American Crafts fun ribbon prints! 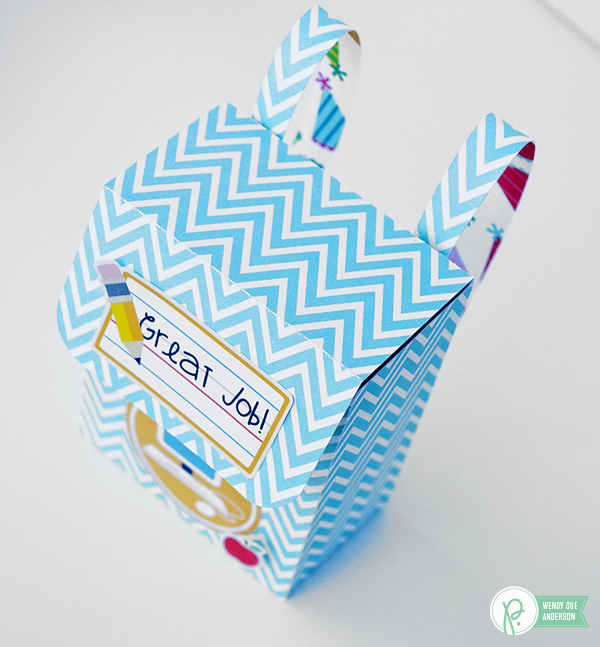 Holly here from Ribbons & Glue sharing with you a simple altered Pencil Box Holder using Pebbles Back to School stickers. My kids still like me to make them something special to keep in their desk at school. Awe! So, until they’re embarrassed by their mother’s crafting, I’ll continue to make something unique for them. 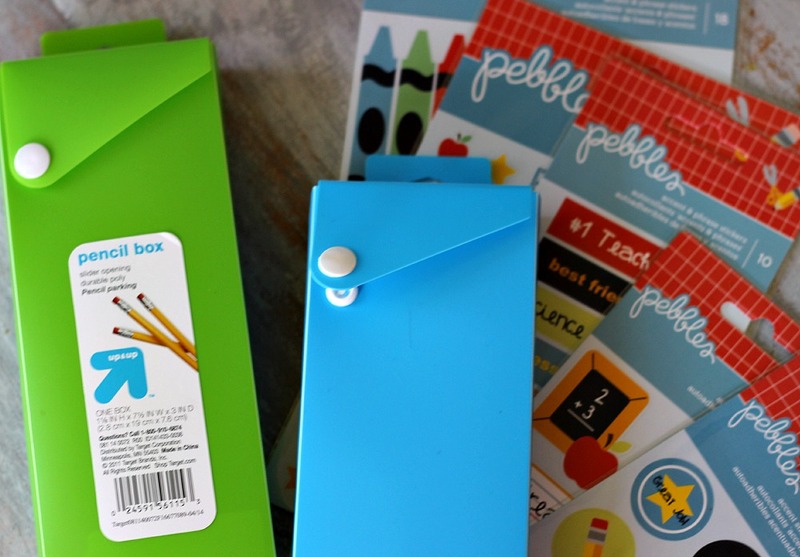 This year, I chose to keep it simple and alter pencil boxes using stickers from the Pebbles Back to School collection. 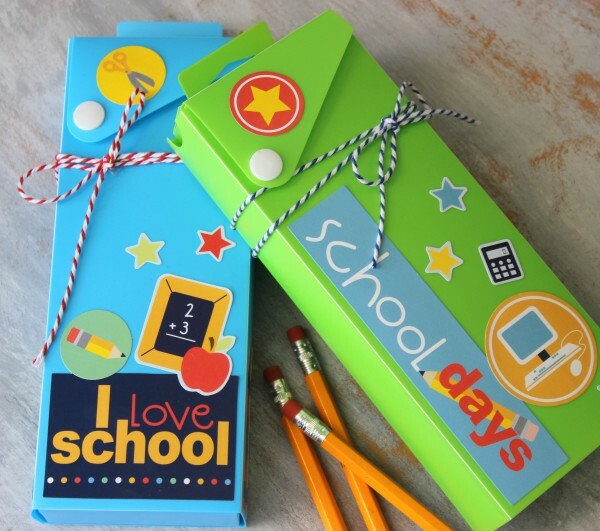 I purchased the pencil boxes from Target and adhered various Back to School stickers on to each box. The stickers adhered easily on to the boxes and I wrapped each pencil box with twine. The hardest part was choosing which stickers to use. They’re all so fun and colorful.